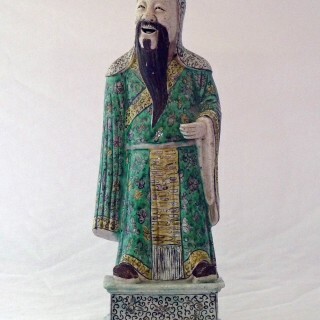 Chinese early 18th Century Famille verte figure of a laughing standing immortal or court official. 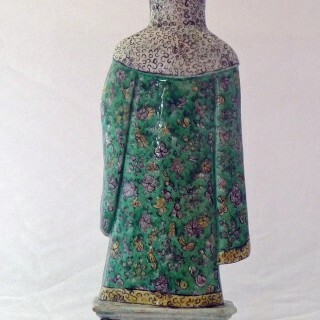 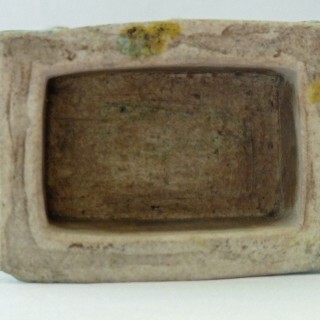 Made during the reign of the Emperor Kangxi using a technique known as Biscuit porcelain. 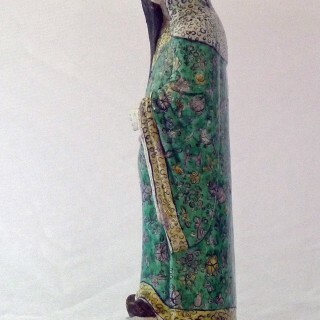 Excellent modelling of the figure even down to the fall of the robes and the tongue in the mouth. 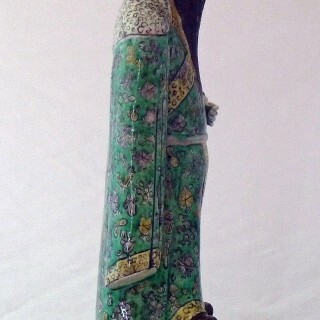 The painting shows great detail in the pattern of the robe and the face. 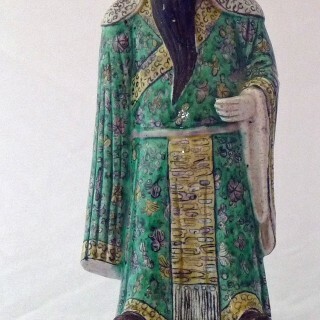 The painting is in black green and yellow with brown to the shoes and the beard.